Cosy French chalet built into mountainside to take advantage of stunning views. Entrance into small hall with separate WC shower room with vanity unit. Read a review here. Stairs up to lounge/dining area with large windows to take advantage of view on all sides, log burner, sofa and armchairs, satellite TV with English Freesat channels, ipod player, dining table and chairs. Door to large south facing balcony with dining table and chairs, plus sunloungers. Stairs down to 2 bedrooms, twin beds, mountain views and storage. 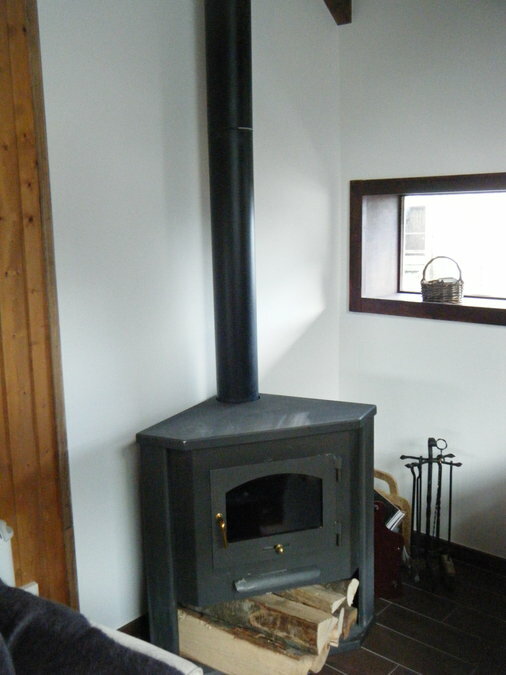 Heating is underfloor heating on ground floor, individually controlled heaters in each room. Outside steps to cellar with washing machine and tumble dryer, boot heaters and ski storage, further steps down to log store and BBQ area, lawned sloping garden, sun terrace. 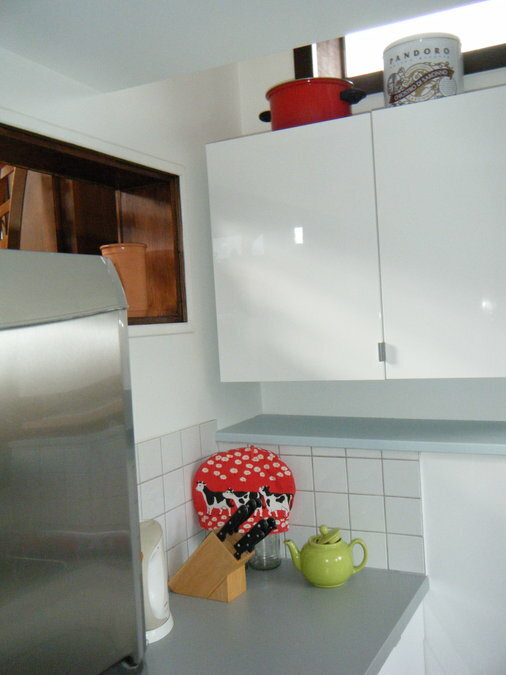 Our holiday home exchange was newly renovated for the 2011 season with new kitchen and bathroom and full redecoration in 'modern alpine' style. 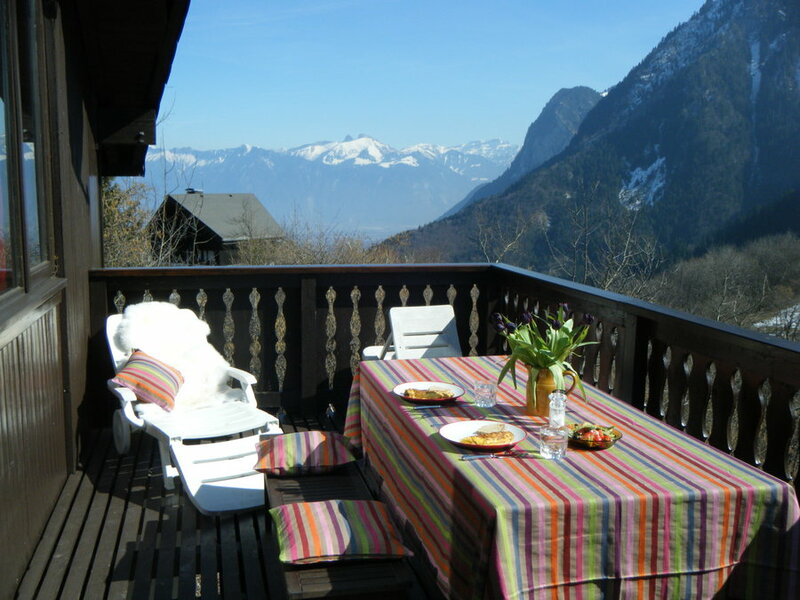 The chalet is on a private 'domaine' overlooking Lake Geneva and the Swiss Alps. It is just five minutes from the Thollon cable car and there is a shuttle in the French school holidays. There are hiking paths in all directions, up to the mountains or down to the lake. Ski lifts run in the summer to take some of the uphill effort. 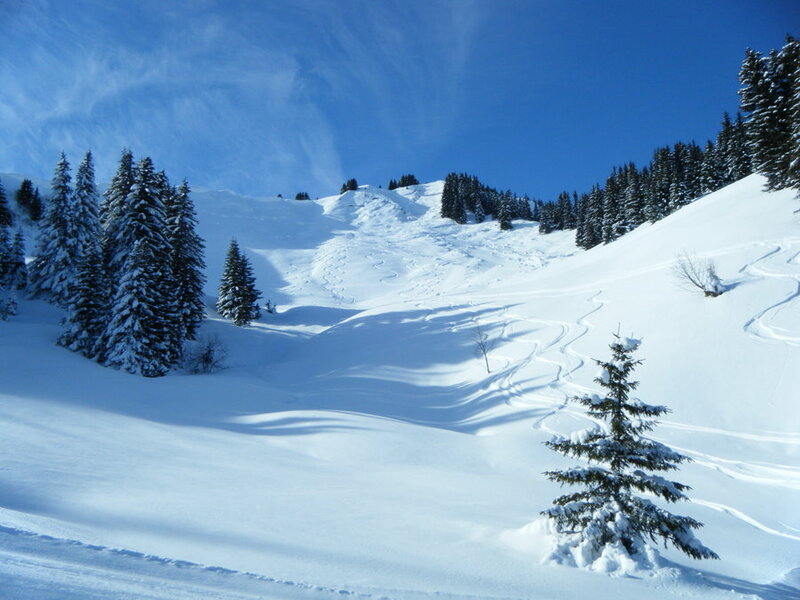 In winter the local resort has 50 km of downhill runs, there are numerous French and Swiss ski resorts within an hours drive including access to the massive Portes du Soleil area 35 mins away, Leysin 45 mins. 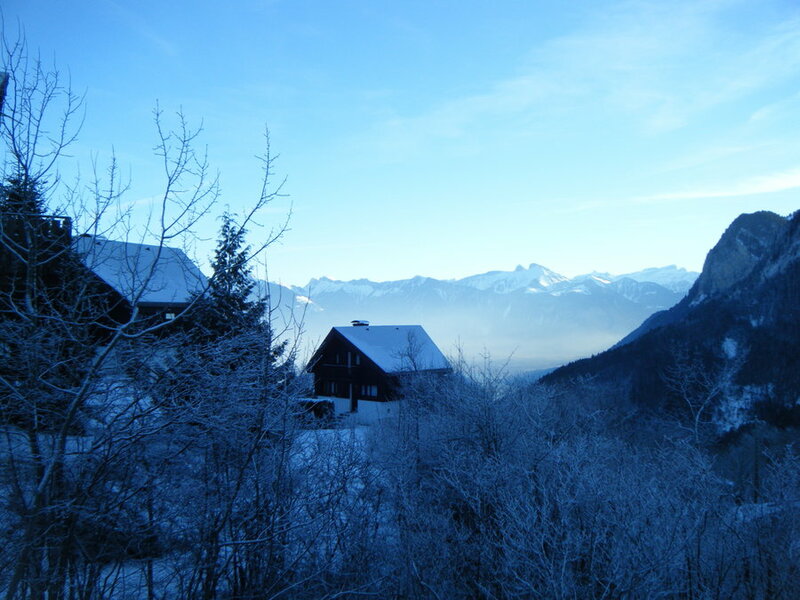 There are cross country trails at Bernex, 10 mins and Abondance 30 mins away, For non skiers the spa resort of Evian is 15 mins drive and has museums and shops for all and lake steamers to Lausanne and Montreux, the historic sites of Yvoire or the Chateau du Crillon. The Swiss town of Martigny 45 mins away has world class art exhibitions at the Fondation Pierre Gianadda. Local towns have numerous events especialy in summer In summer there is a shared pool on site [July to August], beach near Bernex, Lidos at Evian and Thonon. 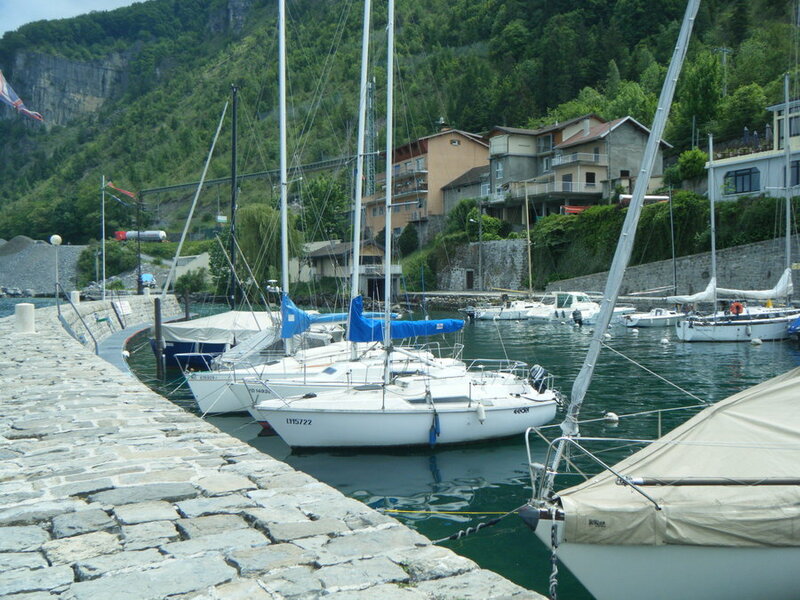 Watersports on Lake Geneva including the water park at Bouveret and white water rafting on the Dranse This being France the savoyard produce of ham and cheese can be enjoyed in rustic mountain retreats, several restaurants in the village, local cheese shop and boulangerie. Alternatively try one of the restaurants by the lake for freshwater fish. The weekly markets in Evian, Abondance and Thonon are worth a trip for fresh produce. 3 bedrooms, master has en suite bathrooom and small balcony. One ensuite, one shower room with vanity unit, separate toilet, all newly refurbished. High season is Christmas and New Year, then Febuary to end of March (ski season) and summer school holidays (mid July to August). One hour 20 minutes drive from Geneva airport, or take the train to Lausanne and cross the lake by ferry to Evian, then shuttle to Thollon There is a new Eurostar high speed train service to Geneva and Montreux or drive via Calais which is about 8 hours drive. Roads are cleared in the winter but hire a car with winter tyres for mountain trips. 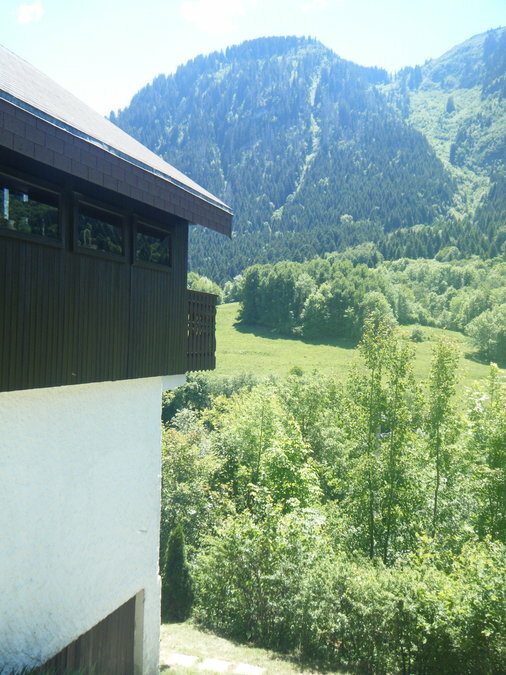 The chalet was off a quiet road, set down a few steps with stunning views over the mountains from the main, large balcony. It was clean, well kept, good quality furniture and well laid out room wise. The main living room is very spacious, full height ceiling and was great for my 3 grandchildren. The small outside garden, although sloping with a small level area at the bottom, was also a 'hit' with the grandchildren. We loved the pool onsite, which was scrupulously clean, had good shower, toilet, changing area and helpful attendants on hand. Sadly the surrounding general landscaping to the whole site could have done with some mowing and weeding, but that didn't spoil our overall enjoyment of the chalet and area. Christine, the owner was extremely helpful and patient, answering my numerous questions beforehand by e-mail. The instructions for key pick up, arrival, departure etc were all made clear. 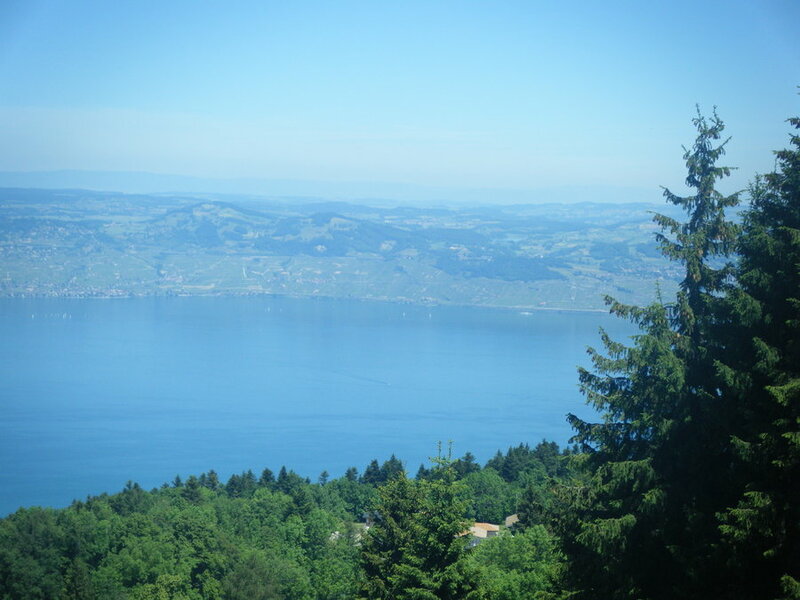 Would highly recommend the local gondala ride up the mountain, lovely walks on top and the nearest pebble beach we found was at Lugrin, on Lake Leman - beautiful setting, idyllic and safe for small children and perfect for any age swimming. We would love to return in the future and wish we had a chalet like that, in that position, superb. It was recommended by IVHE trade coordinating team after I contacted Jacqueline with very vague request for help with finding the place to stay in France or Switzerland at Christmas. Jacqueline was extremely helpful and efficient with assisting me in my search for a dream holiday spot. The chalet itself exceeded all our expectations. It is very tastefully decorated, very well equipped and cosy. The description in the IVHE website accurately reflects all the facilities and location. In addition the owner was very friendly and gave us a lot of good advices and instructions in advance to make our stay trouble free. We really enjoyed the location and named the most of being on the France - Switzerland border and Italy within the short drive away. At Christmas day we went for a boat trip from Geneva, next sunny day we decided to go for lunch in Roman town Aosta via St-Bernard path to Italy. The local village Thollon-les-Memmis is very picturesque and the people are very friendly. We were very lucky with the weather and managed to catch the very beginning of the skiing season on the local slopes. There was only one problem - it was very hard to say 'good-bye'. This lovely chalet was a joy to stay in. The chalet was a delightful place for 6 of us with great communal area in the combined lounge and dining area although the kitchen was somewhat small .The satellite tv was a bonus and it was wonderful to be able to wash and dry ski gear. The bedrooms were nicely decorated and the place was lovely and warm, water always hot . The beautiful fairy lights gave it a cosy atmosphere and the terrace had fantastic views. 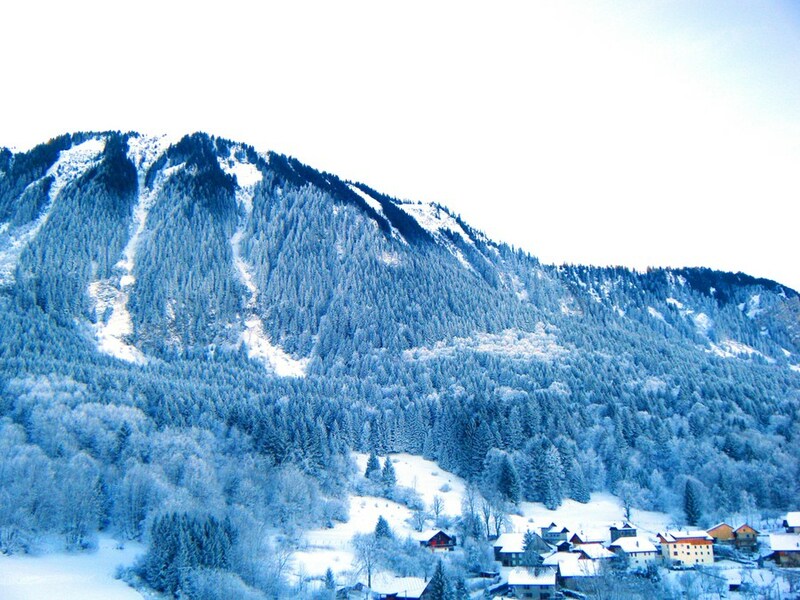 We loved being able to visit many of the nearby ski resorts and were especially impressed with Abondance and the 10 euro daily lift pass! What value.